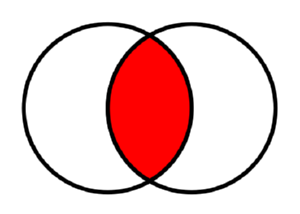 An intersection is a place where at least two things cross, collide, meet, or overlap. The website of the American Union is such a place. It is designed to bring together not only ideas but people. The intent is to provide information that will add value to the life of everyone who visits. The goal, therefore, is to share eternal values in a postmodern world where nothing seems to matter but the present, and where eternal values are being upended. Here Christians may intersect. Here is a structure, a foundation, a vehicle. In a special sense, we have the opportunity to build something special here on a time-honored foundation with Jesus Christ as the cornerstone, an edifice in cyberspace to God's glory; and, of course, it is all due to His grace. 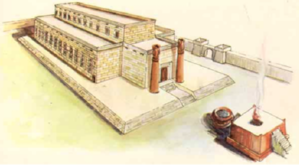 In the construction of Solomon's temple, all of the building materials were prepared offsite and then brought to the temple location and put in place without noise. As the construction continued day after day, one stone kept getting in the way; for a very long time, no one knew what to do with it as the builders kept working around it. Several stones had been tried in the supremely important cornerstone position, but they had failed. With renewed energy, with new life and self-abandonment for Him who gave until there was nothing more to give, we want to present Him and His kingdom in this forum. The cross of Christ is the great intersection of all time and space. There two things meet–the heavenly and the earthly. At the cross of Christ, two worlds intersect, and thus is brought into sharp focus–by stark contrast–the difference between two world views arrayed in conflict. One is the kingdom of force and manipulation; the other, the kingdom of personal choice and responsibility, based on irrefutable, eternal principles, such as the law of cause and effect, of planting and reaping. Can we accomplish such an intersection here? Can we build such a "building"? Definitely not by ourselves. But if our sole aim is to glorify the One who brought us into existence and to place ourselves where He can inspire everything we do, we believe we can. We have determined with all our hearts to follow the Saviour, who said, "I seek not Mine own will, but the will of the Father which hath sent Me." John 5:30. Likewise, we do not seek our will or to exalt ourselves over anyone. His mission is ours–"To seek and to save that which was lost." Luke 19:10.